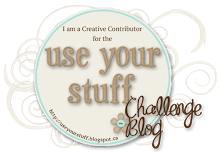 It is time for another challenge at Love to Scrap Challenge Blog. This week, the challenge is for Ribbons and Lace. 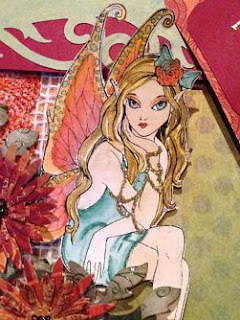 I had fun creating with this pretty fairy image from SLS Lines - Fairy on a stool. You can get your own image to play with here. 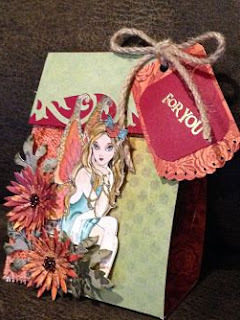 My project this week is a little gift bag. 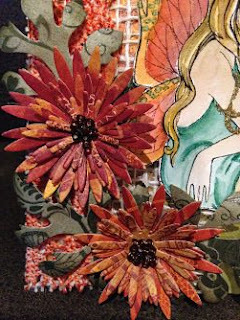 I thought I would get away from my usual suspects for color and go with a fall theme this time. I am really pleased at how it turned out! I hope you like it! The paper is from Bo Bunny. I printed her on mixed media paper and water colored her with Distress Markers and a waterbrush. I added a thin line of glue over her pearls and added fine gold glitter. 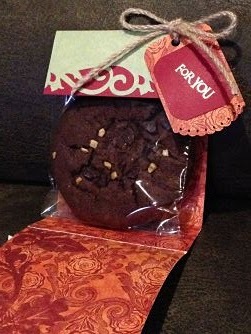 I used a border punch from EK Success for the edge of the flap and for the tag. 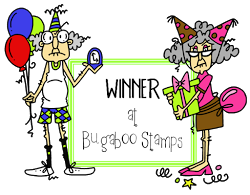 I stamped and heat embossed the sentiment, and attached it with some thick twine. I hope you will join along in our challenge this week! We would love to see your wonderful creations at Love to Scrap Challenge Blog. If it fits, enter your project in their challenge. Also may enter your project to their group page in Facebook. If it fits, enter your project in their challenge here. Thank you for taking the time to leave your thoughts!